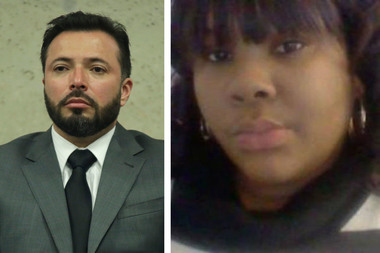 A Chicago judge ruled prosecutors didn’t prove their case that a Chicago police detective acted recklessly when he fired into a crowd, killing 22-year-old Rekia Boyd. Det. Dante Servin was acquitted of all charges in connection to the 2012 killing, according to DNAinfo. “I know this case has generated a lot of emotion…but this is a court of law, not a court of emotion,” Judge Dennis Porter said before issuing the ruling. Porter said that while he had no doubt that Servin shot Boyd, he said prosecutors didn’t prove that he acted recklessly when he did. The proof is a requirement for finding someone guilty of manslaughter. Members of Boyd’s family were dragged from the courtroom as Servin hugged relatives after the verdict was read. “You want me to be quiet?! This m———– killed my sister!” Boyd’s brother, Martinez Sutton, screamed as he was dragged out of the courtroom by deputies. Servin, 46, was charged with manslaughter, reckless discharge of a firearm and reckless conduct following the March 2012 shooting.